This elevated flooring pedestal is equipped with an adjustable crew-jack and is non-metallic in nature. 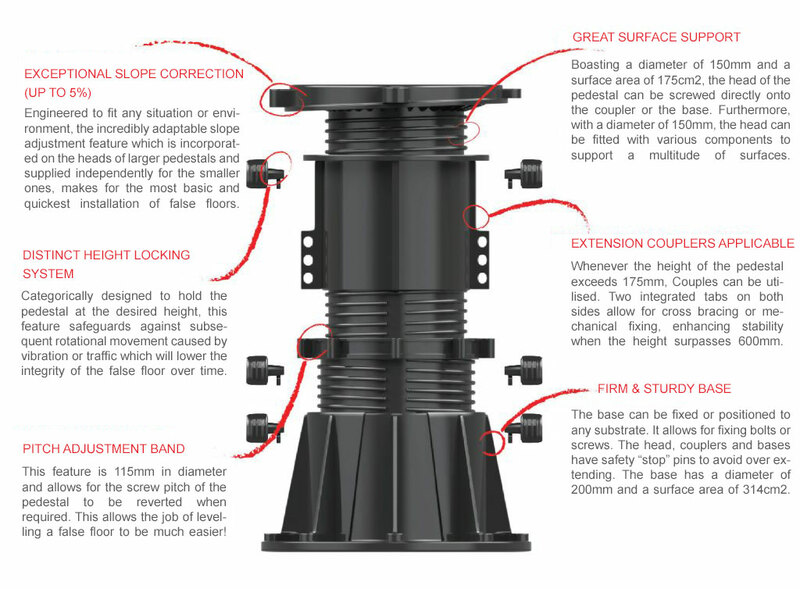 Each flooring pedestal has the ability to carry loads up to 1,000 kg. 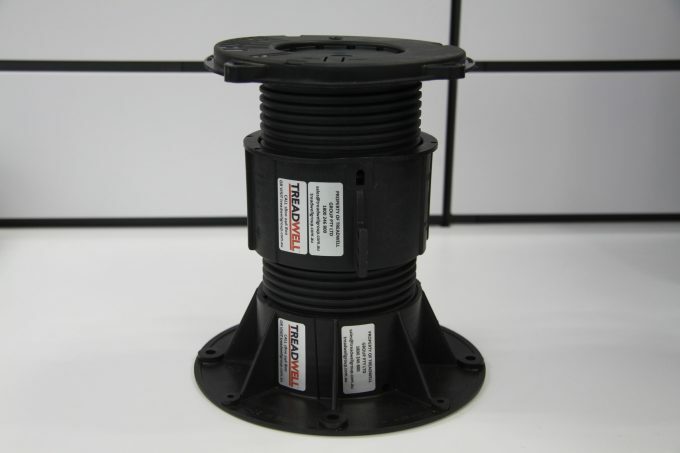 Pedestals are adjustable to compensate up to 5% pitch. Pedestal heights range from 17mm – 1070mm and once their height is adjusted, their position is fixed with unique lockable keys.